Home Are Big Cities Tackling their Environmental Issues Right? The reality is that global population is growing increasingly around big cities. Due to a chaotic growth, cities today still concentrate a big portion of countries’ industries where millions of people live, work and commute every day. 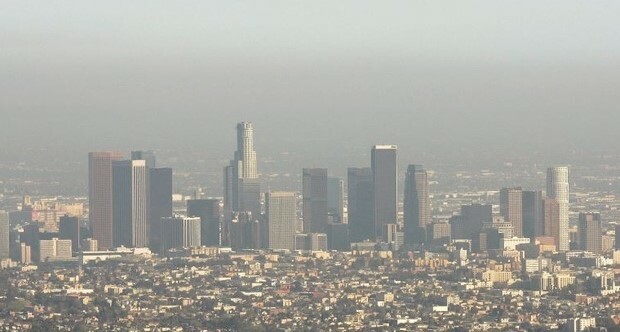 That is why environmental issues on the most important capitals of the world are skyrocketing. The excess of fossil fueled vehicles and factories have recently alarmed the mayors of three big cities to take action in Paris, Madrid, and Mexico city. In the most recent C40 Mayors Summit in Mexico City, mayors of these three cities, signed a pact to ban the use of diesel fueled cars, starting in 2025. The reason of this drastic measure is that the air quality in these cities is deplorable and they exceed the World Health Organization recommended levels. But, how can we eliminate the use of vehicles from our daily life? What would be the real impact in the economy? Are these political decisions well thought? In 1991 the Swedish government established a carbon tax that applied to the energetic consumption. Doubts about the impact on the economy soon appeared, but did not stick around for long: since the very beginning of the tax implementation, the CO2 emissions were reduced by a 9% and the economy grew by 48% in the same period. Since the tax establishment, Sweden, together with Finland, has become one the two countries that most use non-fossil fuels, obtained from renewable resources, and they plan to become the first diesel-free country in 2020 . On June 2015, Santiago faced its first environmental emergency in 16 years, due to the “smog” (air pollution combined with fog). This kind of pollution is dangerous for human health, because breathing this air can cause respiratory diseases. This decision, made by the city governor, implied shutting down around 1,300 companies and the restriction of 1.7 million vehicles to circulate for 3 days in a row. The measure proved not to be effective enough, since pollution levels did not decrease and the cost in national production was huge. What are we doing to fight it? As a matter of fact, political decisions on environmental issues are successful sometimes but sometimes they can become a big failure with economic and financial consequences. The right expertise and specific knowledge from the private sector, are crucial to help politicians to make decisions that benefit both the environment and the people. Bill Gates has recently announced the creation of BEV (Breakthorugh Energy Ventures). This consist in a 1 million USD fund for scientific research on scientific breakthroughs that have the potential to deliver affordable and reliable clean energy to the world. Other than that, there are open innovation competitions like the EU Horizon Prize, which rewards the cleanest engine of the future, aiming to reduce the air pollution in cars. Now, the citizens have become aware of the big challenge that produce clean energy represents for the world, moreover, there are some public and private initiatives to help the community to face this challenge.